There is nothing quite like South African styled homes. These residences are marvellous architectural structures, in that the sensational surroundings have been into consideration to create magnificent and majestic homes that are filled with natural light and fresh air. 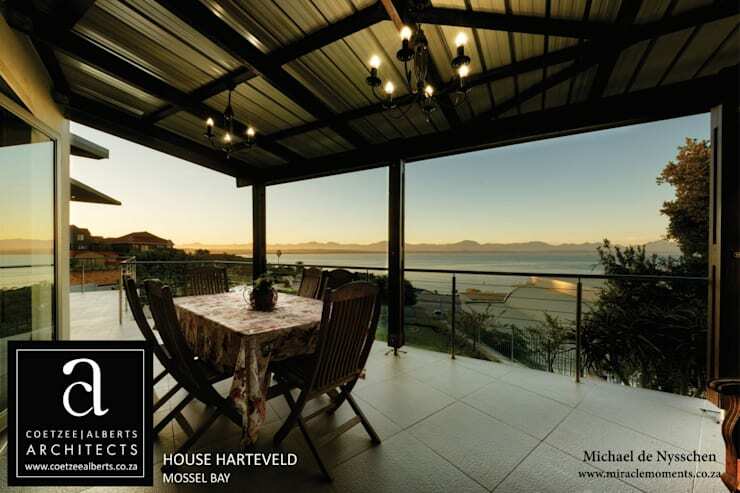 Mossel Bay is located along the east coast of South Africa and is part of the Western Cape. It's a seaside town that has grown into a fascinating tourist destination for the sea, sights, marine wildlife and of course relaxing atmosphere. The home that we view today has been upgraded to be a modern and sophisticated villa, but it still bears the colonial style of the original design. 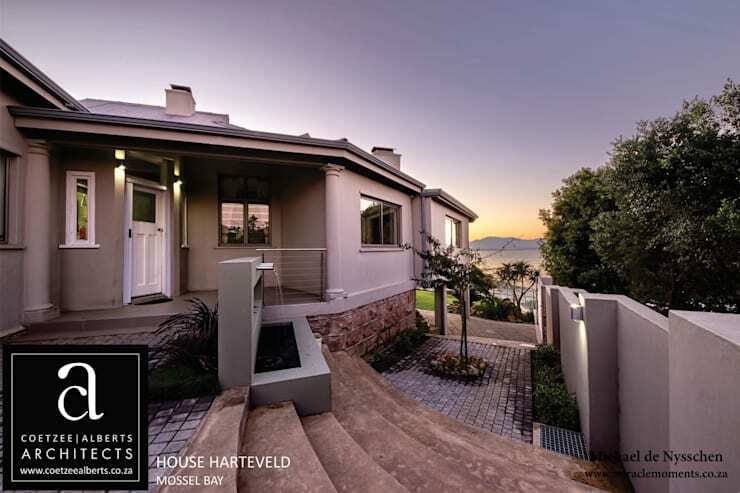 Our first peek at this gorgeous home, displays the elegance of the residence as evening settles in. It's neutral exterior colour palette, along with the pink sky creates a striking house that is spacious and comfortable. While perfectly placed windows add some picturesque sights from the interior, as natural light bathes the house throughout the day and fresh air ensures that the home is always attractive. There's nothing quite like a view of the ocean to make a home even more attractive. This spacious terrace with outdoor dining area is an excellent spot to just admire the spectacular view, or enjoy a delicious meal with family and friends. The outdoor lighting is dynamic and a must-have decorative and illuminating aspect to this modern home with traditional elements. From this perspective, it's clear that this stylish and elegant spacious home has old-fashioned style values. Although this residence was remodelled to make it a bit more current, the old architecture makes an appearance in the facade. 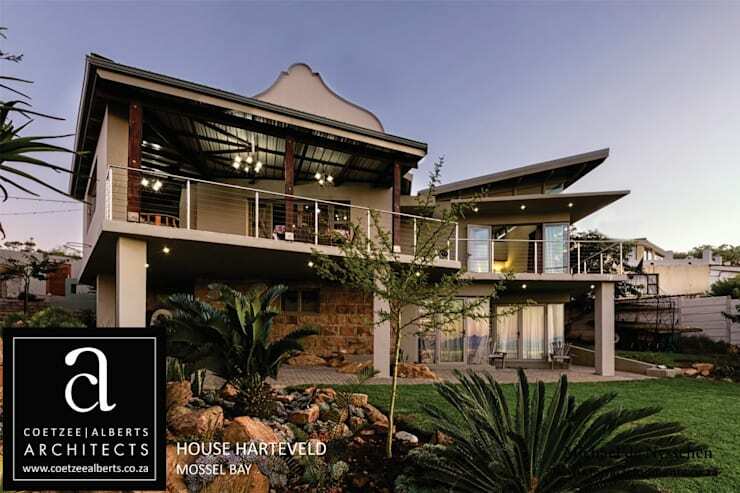 Now that's definitely a fantastic design choice by the team of architects at Coetzee Alberts. This image shows off another view of the ocean from an upstairs balcony, one of the many breathtaking and beautiful spots that has been incorporated into the design of this home. The large glass doors allows for ample fresh air and natural light to enter the home, just think of it as a breezy early morning necessity. The entrance to this stunning home is paved by the welcoming and elegant design of the front facade, while the steps are a decor choice that accentuates the home in its entirety. The stone steps in a neutral tone are the best accompaniment for this residence, while the addition of the water feature adds a luxurious effect of chic style. Here we get to admire the striking elegance of this house in full view from the garden. 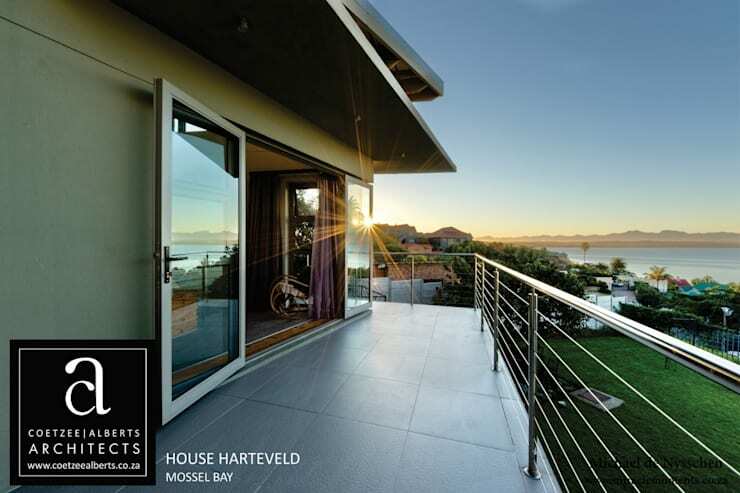 The balconies located in all the right places offer views of the ocean, while the modern architecture that is mixed with fantastic traditional charm makes this house a definite attractive choice. 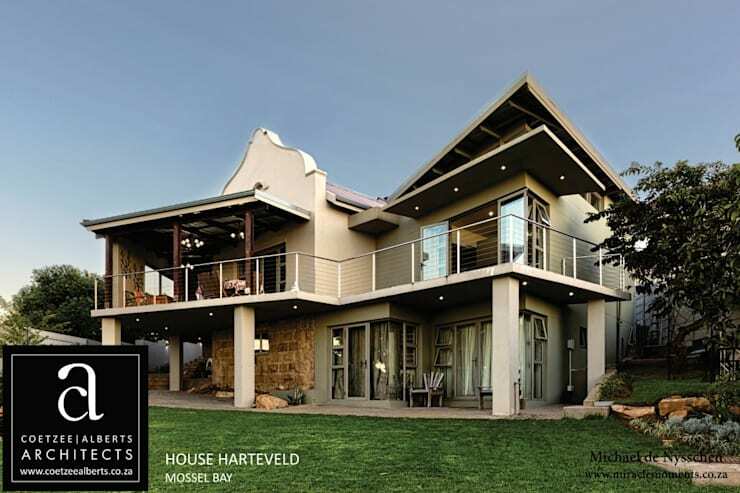 Here's another South African home to enjoy: The spectacular Stellenbosch farmhouse. 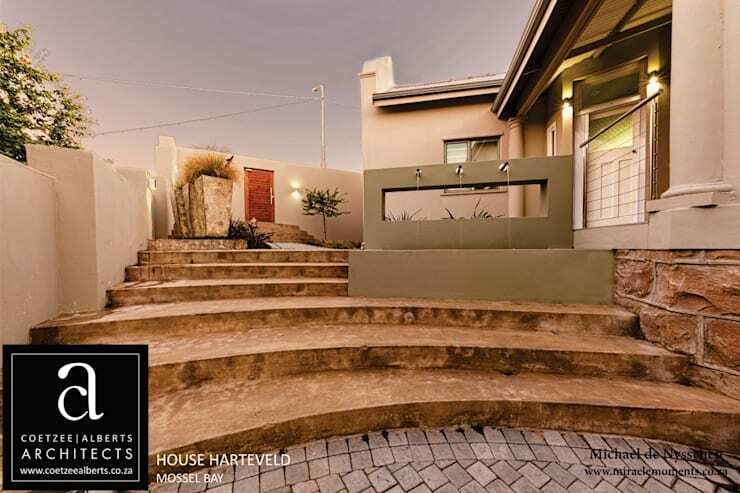 What do you think about this South African home?